Public opinion is largely shaped by the media in all formats including news, cinema and television shows. It should come as no surprise that everyone doesn’t necessarily form an opinion on every subject. Nor should you be shocked to hear that most opinions are uninformed. We can all give countless examples of this. 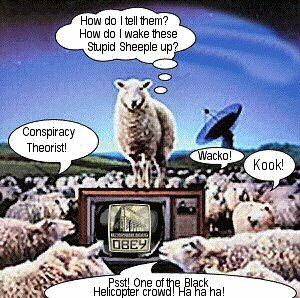 Most Americans are sheeple, unable to think for themselves. They are content to follow and I believe many are too lazy to do the minimal research required to have an informed opinion. Their reliance on government or media sources for information makes them easily susceptible to manipulation. It’s simply easier to be a sheeple. As a student of the preparedness lifestyle, I cringe at the media’s portrayal of preppers. Originally, the brunt of the ridicule was directed at survivalists. But with the success of National Geographic’s Doomsday Preppers, the concept of being a prepper hit the mainstream. Now Preppers are the target of the media’s derision. I have my opinion as to why that is the case and it has its basis in politics. It is my opinion that the media is largely left leaning and as a result does not embrace the self-sufficient lifestyle that is prepping. So, if you can’t join them, beat them down … repeatedly. As a recent example, think of the media’s dismantling of the Tea Party movement. I see similar attacks on preppers. Our economy can collapse as a result of our own government’s mismanagement of our national debt or external factors such as a global financial meltdown, an attack on the US Dollar and other “improbable” (per CBS) events. Why do you think the Federal Reserve is so frightened of raising interest rates despite obvious underlying inflation data? Our economy is a house of cards. We are just a few steps away from a collapse of the dollar and hyperinflation. 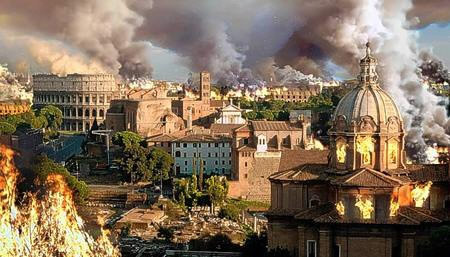 History is replete with the rise and fall of empires. Are Americans so arrogant, or oblivious, to realize that we are in a stage of decline and collapse. Some of the signs of decline include a downward cultural spiral, an over reliance on government and the inability to protect the integrity of a nation’s borders. Sound familiar? All empires end when they are defeated by a more vigorous empire … or when their financing runs out. What do these folks have in common? They hate US! Think of the Seven Deadly Sins: Lust, Gluttony, Greed, Sloth, Wrath, Envy, Pride. All of these relate to the attitudes of these “Bad Actors” towards the United States. Is is that far fetched that one or more of these could band together to bring the mighty United States of America to it’s knees. 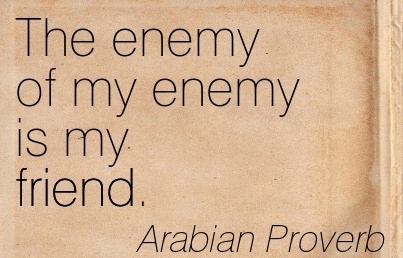 Remember, the enemy of my enemy is my friend. World War I was precipitated by the assassination of an Archduke, but the underlying causes were geopolitical tensions in Europe. 20 million people died during the war followed by another 70 million post-war due to famine and the Spanish Flu. Are we naive to think that something like this couldn’t happen again? Geopolitical Tensions – sound familiar? World War II was caused in large part by tensions arising from invasions of other sovereign territories around the world. It escalated into a global conflict with the Japanese attack on Pearl Harbor. Today, Russia has invaded Ukraine. China prepares to exert more of it’s dominance in Asia. ISIS is taking over large parts of the Middle East to form an Islamic State. Some might say, “not our problem”. But what if one of the ‘bad actors’ mentioned above decide to make it our problem with an attack on the heartland along the lines of Pearl Harbor? Is that so far fetched? Remember 9/11? We are especially vulnerable to attack because of our desire to provide freedoms to all Americans, but especially because of political correctness. We are not allowed to racially profile a potential terrorist. Our southern border is a sieve. We refuse to ban flights from ebola-stricken countries for fear of being labeled racist. Our military has been weakened by prolonged wars and budget cuts. We have a commander-in-chief who is seen as weak and disinterested. Our enemies can come at us in so many ways. A day does not go by without news of a CyberAttack. What if these CyberAttacks are just a series of trial runs before one large massive, coordinated cyberattack on our banking, governmental and utility servers? An electromagnetic pulse delivered by a nuclear warhead or a series of emp fired weapons at strategic locations across the country could bring down our power grid. For the first time, Russia has more deployed nuclear assets than the United States does. Can you say “outnumbered”? Our government is intent on “calming the fears” of the American people as to the likelihood of the Ebola virus hitting US soil. This comes as we are bringing into the country Ebola stricken health care workers. Keep in mind that these were people who are experts in treating this virus and who were provided all of the necessary equipment to prevent contracting Ebola. As the CDC was calming our fears, a Nigerian national flew into Dallas with Ebola potentially infecting hundreds and ultimately dying while in the government’s care. What is wrong with a little fear amongst the masses? Weaponized smallpox. Is it not plausible that our enemies could weaponize Ebola? In the name of Jihad, is it not possible that one would contract the Ebola virus and enter the United States with the intention of creating a pandemic? The news outlets that raise these possibilities are labeled fear mongers and racists. But have you noticed that Amazon is selling out of particulate masks and other bio-hazard supplies? Fear is a great motivator. Any of the above naturally occurring events could wreak havoc on our power grid, our atmosphere and our climate. Imagine our way of life without power for weeks on end as a result of a massive solar flare striking the Earth. It happened in 1859 in what is commonly referred to as the Carrington Event. Imagine the droughts and famine resulting from severe climate shifts. Imagine a major earthquake along the New Madrid Fault in the central United States that could collapse bridges over the Mississippi River. It has happened before in 1811 and 1812. 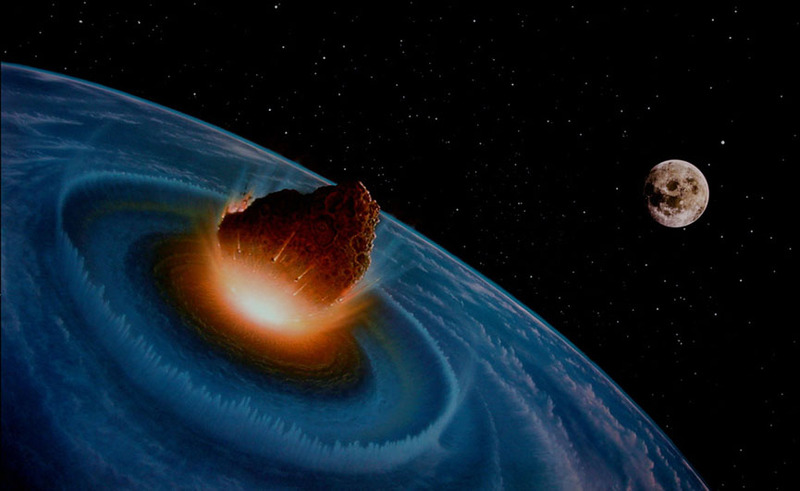 Strikes by near earth objects such as asteroids can be extinction level events. Likewise, a massive eruption of the Yellowstone Super Volcano could result in climate change that my two Hummers never dreamed of. All of the events described above are plausible, and have their roots in history. What could happen? Global Panic. Martial Law. Travel Restrictions. Food and Water Shortages. Overload of the Medical System. Societal Collapse. Economic Collapse. This is why we prep. Prepping is insurance against both natural and man-made catastrophic events. You are now required by law to carry medical insurance. Your homeowner’s insurance may include damage from tornadoes. You may never incur damage from a tornado, but you pay for that monthly nonetheless. This is what preppers do. We allocate time and resources to protect our families in the event of seemingly unlikely events but events that are occurring daily or have historical precedent. 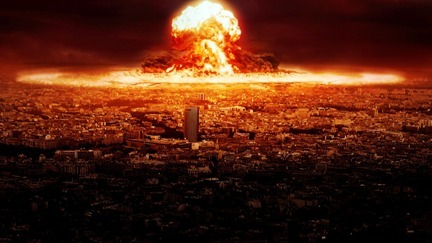 I personally hope none of these catastrophic events occur, but what if ….